Reykjavik Has Its First Ability Guidebook! I Am Going To Hallgrímskirkja! Iceland is country #33!! This is a guide to visit the amazing Hallgrímskirkja in Reykjavik. Ability Guidebooks are step-by-step guides on how to visit cultural destinations around the world. These free supports for people with autism can help deal with the anxiety that comes from transitions and new things! Ability Guidebook_ I Am Going To The Hallgrímskirkja! 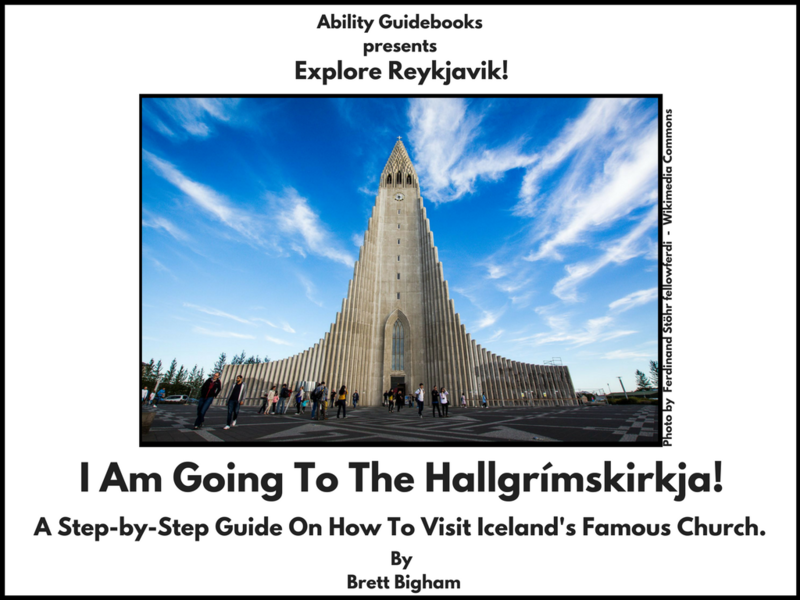 Author Brett BighamPosted on December 11, 2017 December 11, 2017 Categories Ability GuidebookTags Ability Guidebook, autism, brett bigham, einhverfu, Hallgrímskirkja, Iceland, oregon, Reykjavik, teacher of the yearLeave a comment on Reykjavik Has Its First Ability Guidebook! I Am Going To Hallgrímskirkja!